#80 Josh Skroupa & #70 Scott Eckrich make big contact at the end of the Host Venom 200. The Round of 12 kicked off for the Premier Racing League’s AdvoCare Cup Series on Tuesday with the Host Venom 200 at Dover. 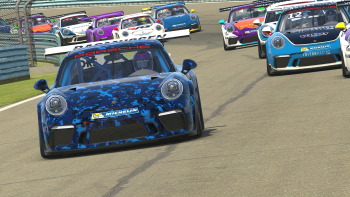 The points were reset and a dozen simracers entered tied to start the next round of the playoffs and tension was high to start the race. #70 Scott Eckrich won the Savage Spinners Pole and led a race-high 174 laps in route to his victory that saw major controversy in the closing laps. #80 Josh Skroupa was closing in on Eckrich with only a handful of laps left when Eckrich clipped the apron in Turn 2 that sent his car up the track and into the outside wall. Skroupa made an evasive maneuver to avoid the #70 low but contact was still make when Eckrich came back down the track after the contact with the wall. #80 Josh Skroupa was closing in on Eckrich with only a handful of laps left when Eckrich clipped the apron in Turn 2 that sent his car up the track and into the outside wall. Skroupa made an evasive maneuver to avoid the #70 low but contact was still make when Eckrich came back down the track. 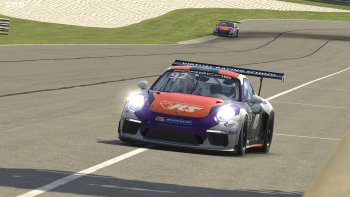 Skroupa was sent hard into the outside wall as Eckrich was able to hold onto the lead as the yellow flag flew to end the race. The incident was reviewed post race and Eckrich’s win was allowed to stand. 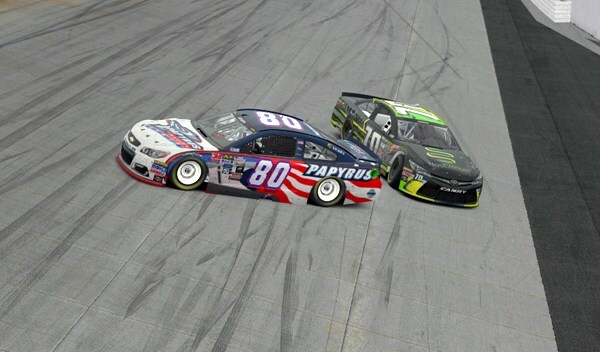 The accident relegated Skroupa to a 10th place finish in his AdvoCare Cup Series debut while Eckrich locked himself into the Round of 8 with his victory. 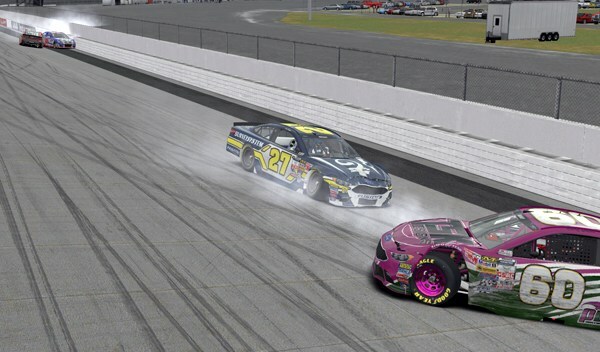 Chase drivers #27 Jake Wright and #24 James Krahula find trouble midway in the host Venom 200. Bryce Whitson would benefit from the contact and move up to finish second after a very rough month for the driver. Chase driver Drew Carroll will round out the podium followed by Chase drivers Dan Murray in fourth and Ricky Hardin in fifth. The bottom part of the Chase Grid was also very busy on Tuesday. Five Chase drivers were involved in serious accidents that put them all in a tough spot for the next two races in the Round of 12. James Krahula holds onto the final transfer spot by one point over Jake Wright after the incident that collected both of them on Lap 115. 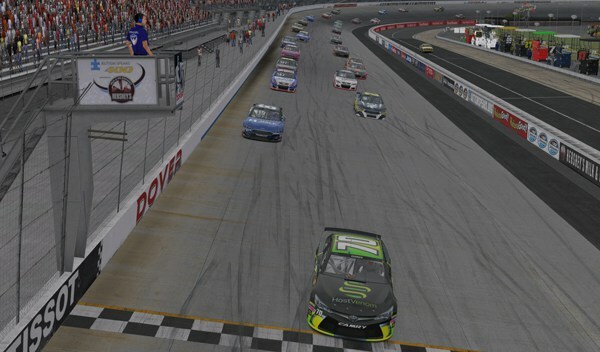 Tommy Rhyne, Don Runkle Jr., and Nick Kohan all find themselves on the wrong side of the fence after Dover. #70 Scott Eckrich at the start of the Host Venom 200. 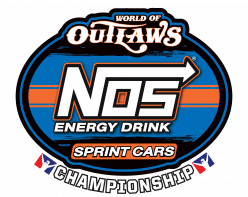 October 4th will see the AdvoCare Cup Series back on track at the Charlotte Motor Speedway for the NorthernTool.com 200. The event will air live on the Global Sim Racing Channel at 9pm EST. For more information on the Premier Racing League visit www.PremierRacingLeague.com or www.facebook.com/PremierRacingLeague.